Osteoporosis is a condition that causes your bones to become thin and porous, which decreases their strength and increases your risk of a fracture. It is most prevalent among Canadians ages 50 and older. In fact, it is more common that heart attack, stroke, and cancer combined, affecting 1 in 3 women and 1 in 5 men during their lifetime! Known as the “silent thief”, this bone degeneration usually occurs without symptoms or warning signs until they become fractured, most commonly in the wrist, spine, shoulder and hip. 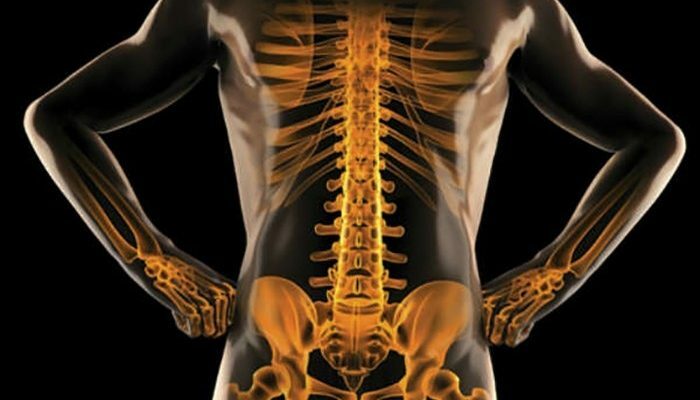 What should you do to prevent osteoporosis? Healthy bones need nutrients – specifically calcium and vitamin D – to help improve your bone mineral density. 99% of the calcium you consume is stored in your bones and teeth. However, your body does not produce enough calcium required to maintain healthy bones and teeth, so it is important to ensure you consume the daily required amount. So how much calcium should you eat? Think of calcium and vitamin D as a dynamic duo – like Superman and Batman working together to help increase and maintain your bone strength! Like calcium, vitamin D supports your muscles and protects your bones from injury. But it also compliments calcium by aiding its absorption. In fact, calcium is only useful to your body with the support of vitamin D.
Additionally, children who are deficient of vitamin D are at risk of stunted growth. For all age groups, the daily recommended amount varies between 25 to 1000 micrograms per day. As noted above, one of the best sources of vitamin D is sunlight. Exposure to sunlight for 5-30 minutes, preferably during earlier hours of the day when UV rays are less harmful, can replenish your body with the required amount.